The most consistent facial aging change is loss of volume in the cheeks. The goal of cheek augmentation is to replace lost volume or enhance the contour of an elongated facial structure that comes with aging. 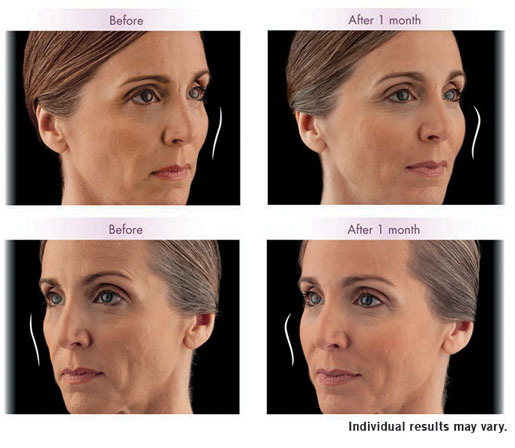 Volume replacement is accomplished through a variety of procedures including dermal fillers (Voluma XC, Radiesse, Juvederm Ultra Plus) or Sculptra. Cheek augmentation with implants can be used in some cases but is not the preferred method. Dr. Ricciardelli has over 25 years of facial augmentation experience and keenly aware of what is crucial in achieving a natural look and balanced look. “I have been lecturing on the importance of restoring cheek volume in the face for over 20 years. It’s important to restore lost volume in a conservative manner. You don’t want to look like you’ve had too much filler injected. You want to look refreshed, not puffy. It’s always easier to add more than take away too much” says Dr. Ricciardelli. There is no substitution for experience and understanding when you are considering dermal fillers. Is cheek enhancement for me? If you see a flattening, indentations, or a general elongation in your face from aging or weight loss, then cheek enhancement can be a quick and relatively easy way to restore volume. Yes. This procedure is often combined with a mini facelift, facelift, neck lift, eye surgery and other procedures. Take advantage lower pricing and time spent away from work by combining procedures. 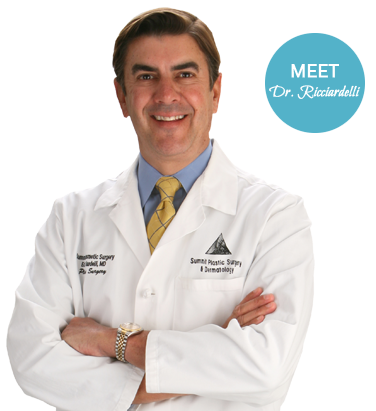 Ask Dr. Ricciardelli about other procedures during your consultation. At your consultation, Dr. Ricciardelli will examine your face paying particular attention to facial structure, skin laxity and quality, and the degree of aging or flattening. Your goals and expectations will be discussed thoroughly. Often Dr. Ricciardelli will recommend that you start a skincare regime for before and after your procedure to enhance the overall effect. You may be asked to stop medications that increase your chances of bruising. What can I expect during and after cheek augmentation? Treat with dermal fillers is a fast and easy procedure, usually lasting 10-20 minutes. Dr. Ricciardelli uses a special topical numbing agent to ensure your comfort during the injection. In most cases you see an immediate change in a mirror after your injection. Dr. Ricciardelli is very conservative in his approach and you will have the option for more filler after your initial injection. This is the beauty and ease of fillers in this area. Most patients do not complain of pain but a mild discomfort. Expect to have possible bruising, mild swelling and tenderness after your injections. Our door is always open for any questions. Why choose Summit Plastic Surger & Dermatology? Don’t be fooled by low prices or convenience when it comes to your face. Dr. Ricciardelli is a Certified Injector. No two faces age alike and Dr. Ricciardelli’s approach to your augmentation will depend on the degree of changes and your desired outcome. It’s about confidence: confidence in your surgeon, confidence that your wishes and individual concerns will be heard, and confidence you will get the results you want. Dr Ricciardelli has the experience and reputation that ensures you are trusting in a surgeon with a known track record in Wilmington and the qualifications and certifications that recognize him on a regional and national level.